We do not believe that education consists only of remembering large amounts of data. Teaching at Shamrock is different – We encourage children to “learn by doing”. There is no such thing as making a mistake. Shamrock students are taught to be curious, to ask questions and to learn the importance of self-reliance in all aspects of life. Our teacher training is carried out by world-renowned corporate training facilitators and teacher trainers from leading UK academies with many years of successful experience. Students are the centre of every learning experience – what they learn is embedded and applied to real life scenarios … very different from learning only to pass exams. Learning in brightly lit classrooms (or even in the garden) is so different from the (draughty in winter, stiflingly hot in the summer) stone build classrooms in the villages of Nepal as you can see in the photograph below. While the impact of color is often overlooked, colour is an inseparable part of our everyday lives. It’s inherent in everything we see and do. Studies indicate that it plays a role in emotion, productivity, communication and learning. The notion of experiential learning was explored further in the twentieth century by educational psychologists such as John Dewey, Carl Rogers, and David Kolb. Kolb asserted that “Learning is the process whereby knowledge is created through the transformation of experience,” and he proposed a “learning cycle” that comprises these four phases as illustrated above. Many people recognise that each person prefers different learning styles and techniques. Learning styles group common ways that people learn. Everyone has a mix of learning styles. The seven learning styles are: Visual (spatial): You prefer using pictures, images, and spatial understanding. Aural (auditory-musical): You prefer using sound and music. Verbal (linguistic): You prefer using words, both in speech and writing. Physical (kinaesthetic): You prefer using your body, hands and sense of touch. Logical (mathematical): You prefer using logic, reasoning and systems. Social (interpersonal): You prefer to learn in groups or with other people. Solitary (intrapersonal): You prefer to work alone and use self-study. 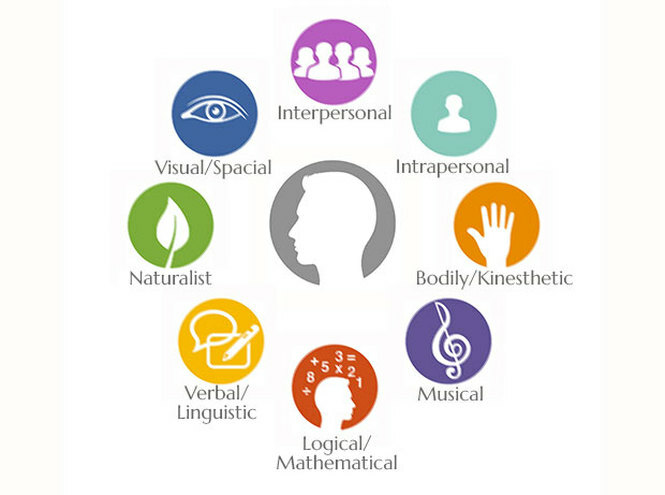 Research shows us that each learning style uses different parts of the brain. By involving more of the brain during learning, we remember more of what we learn. Shamrock teachers are aware of each child’s learning style and they tailor their teaching accordingly.